Sonja Hinrichsen explores the theme of urban vs. natural environments using large-scale installation and performance documented with photos and video. 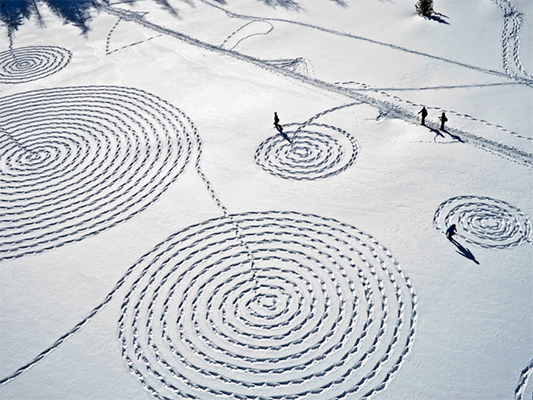 Sonja is known for her large scale Snow Drawings that include public participation. 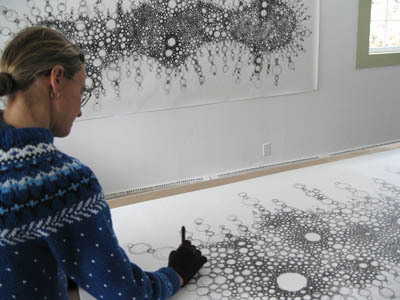 She has focused on “wastelands, deserts, high mountains, and snow/ice landscapes”, which she first researches and then maps the space with her drawings. 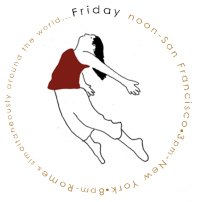 For dance anywhere® on March 27, 2015, Sonja performed inside the Kala Art Institute classroom adjacent to their gallery. Sonja described The performance as “completely improvised”. 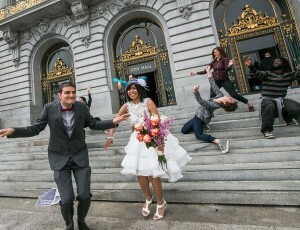 She explained “I hadn’t done this before. The idea came from a series of similar drawings I had in Holland last summer during an artist residency. However, those focused strictly on the outcome—not on the performance at all”. During the performance itself, Sonja performed alone. “Three visitors—a woman with two little girls” came through to as the only audience to witness the piece. 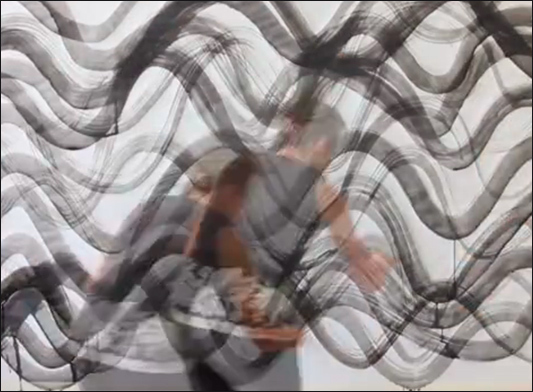 Sonja explains that the “performance was very simple: I went back and forth along the huge sheet of paper that was mounted on the wall, creating wave-movements with a big brush and black ink.” During the beginning of the performance, the artist began with “diluted ink” and started to fill “the sheet to the top”. 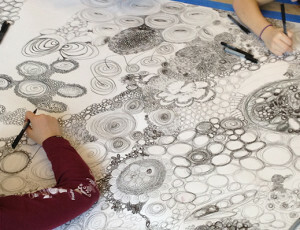 For each subsequent layer, Sonja began utilizing dark ink until the finished piece included a “pure solid black ink”. The dark, grey tones create an ominous sense of environment, and contribute to the hazy-late-in-the-evening shade during a body of water. 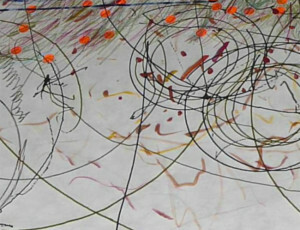 In comparison to Sonja’s Snow Drawings, which are community driven and include an entire slew of individuals from the public, Wave Drawings, was a solo project. The similarities between both pieces is the way that “art develops slowly through body movement. In both cases, there is a visual piece of art resulting from the performance”. Sonja Hinrichsen’s is interested “in work that’s ephemeral, that exists in the moment, work that leaves no lasting traces in the environment”. 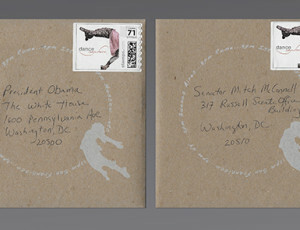 Overall, the artist is “interested in addressing environmental topics”. Sonja’s work can best be described by her statement, “We need to tune back in to nature and understand it better if we want to keep living on this planet as a race. We have become too detached and alienated from the natural world”. Photo Credit Herekeke Arts Center.